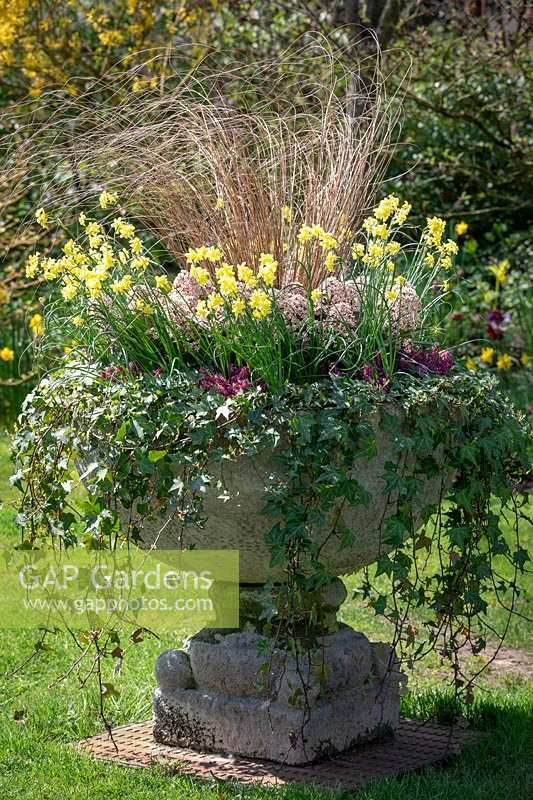 Stone urn container with Carex buchananii syn. Carex 'Buchanni', Skimmia japonica 'Rubella', Erica carnea 'Rosalie', Hedera helix and Narcissus 'Sabrosa'. Image 1306933 has been added to your cart.